In sync with Prime Minister Narendra Modi's 'Make in India' mantra, global chip maker AMD today said games developed in the country can play an important role in the growth of the nascent gaming industry, according to a PTI report. "The entire focus on self dependence is welcome. Gaming industry here is small but culture can be a huge opportunity. Games inspired by the rich cultural heritage here can play an important role in the growth of the nascent gaming industry in India," AMD chief gaming scientist Richard Huddy said. He added that such games will be popular in India as they will appeal to the Indian audiences. 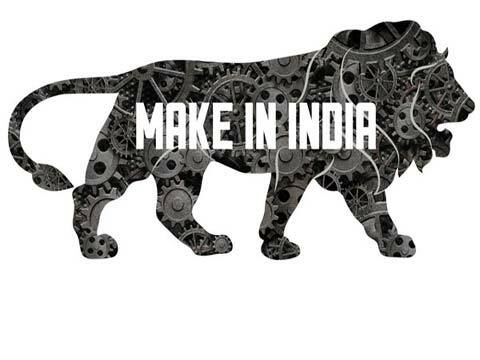 Under 'Make in India' campaign, Modi has called for making India a manufacturing hub. The move is expected to help boost growth as well as create new jobs, especially in the small and medium enterprises. The gaming market in the country is in a nascent stage. According to a KPMG-FICCI study, the domestic gaming industry was estimated at about Rs 1,920 crore in 2013 and is expected to grow at a CAGR of 16 per cent and touch Rs 4,060 crore by the end of 2018. Besides, the console gaming market in India is currently estimated at Rs 840 billion. The study estimates serious gamers to comprise 15-20 per cent of the total gaming universe in the country. The PC and digital TV gaming segment, on the other hand, is estimated at Rs 260 crore in 2013 and is expected to grow at a CAGR of 22 per cent during 2013-2018, to touch Rs 690 crore by the end of 2018. Accelerated Processing Units (APUs). However, the number of games produced in India are mostly designed for mobile phones. With more than 900 million mobile phone users, the mobile gaming industry in India was estimated at about Rs 820 crore in 2013 and is projected to witness a CAGR of 19 per cent (2013-2018) to reach Rs 1,960 crore by the year 2018. "Development in the Indian market is similar to other developing countries like Brazil. And this is a market that AMD is committed to. We feel APUs will be a game changer for us here," Huddy said. He added that APUs, which combine the computing and graphics capabilities on a single chip, help bring down the cost of devices.